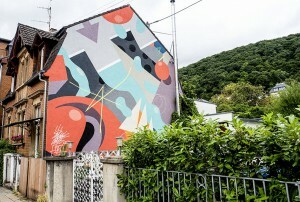 SWEETUNO was born and grew up in Basel, Switzerland. For the past 12 years he has been living and working in Heidelberg, Germany. Since his beginning with graffiti 1989, he has commited himself to classical graffiti: from tag to throwup, from simple to wildstyle. 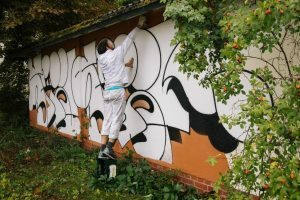 Growing up in the mid-90′s of Basel’s graffiti-scene, Sweetuno was influenced by streets full of tags and the famous trainline full of different styles. His search for identity within the style and continuous improvement are still Sweetuno’s driving forces. His work is experimental but always true to his roots. Since 2008 Sweetuno has been displaying his graffiti work in exhibitions. Besides graffiti he is an author, director and stage actor. 2006 he wrote the first theatre piece about graffiti, titled “Sky is the limit”.